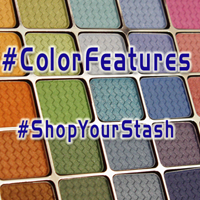 Don't know quite why the red matte eyeshadows keep calling to me…but they do. 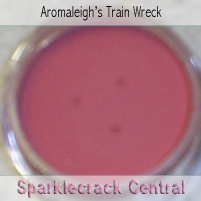 Train Wreck's a raspberry red, just a tiny bit cooler than <a href=”/such/obsessive/addictions/aromaleigh_v1s_cranked/”>Cranked</a>. I didn't get Supermurgatroid from this set - too bright, too orange.